Trump lawyer Michael Cohen is trying to stop the government from using information found in the FBI raid that occurred on Monday in his office and home. Cohen is asking a federal judge for a restraining order today at a US District Court hearing. 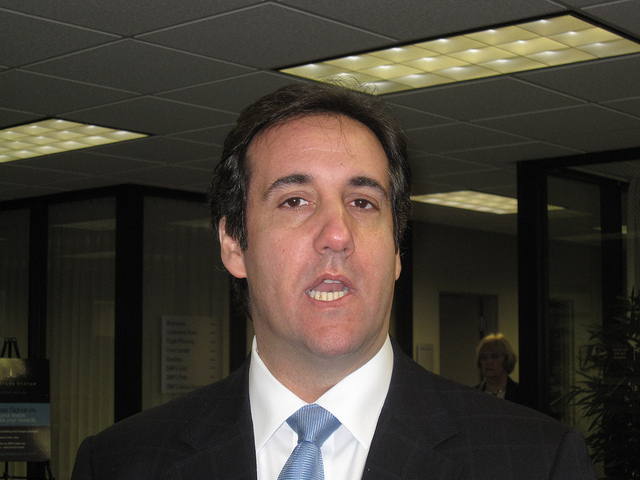 Cohen's argument is "a dead loser," said former U.S. attorney Harry Litman, who teaches at the UCLA School of Law and continues to practice law. "The search was orthodox and lawful and he has no basis to challenge it," Litman said, based on news reports about the process of obtaining the search warrant. But even if it turns out that the warrant was acquired on insufficient grounds, Litman said Cohen's strategy for this hearing doesn't hold much water. "Even if it's flagrantly unlawful, the way to challenge that is to keep the government from using the evidence in court against him," Litman said. Cohen's approach, on the other hand, makes it look like he is trying to temporarily freeze the government's ability to use what it has seized, said Harry Rimm, a partner of the law firm Sullivan & Worcester. "The argument is likely that this is an unusual case with leaks," where Cohen can't "wait months for a suppression motion because by the time we'd get to a suppression motion in the normal course, Cohen will have suffered terrible harm," Rimm told CNBC in an email.